With Halloween just a couple of weeks away I thought it would be fun to search out masks that look great, yet aren't too time-consuming to complete. 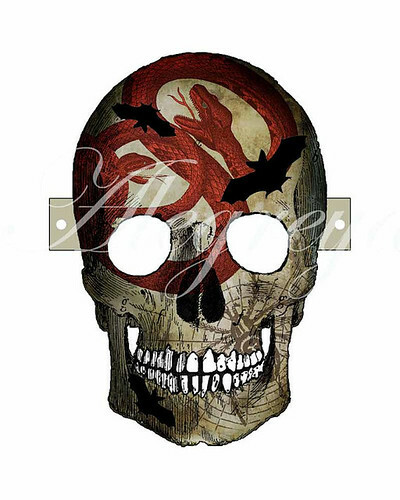 If you are into spooky things, this skull from Steve Wintercroft's Etsy shop Wintercroft could be just the ticket. 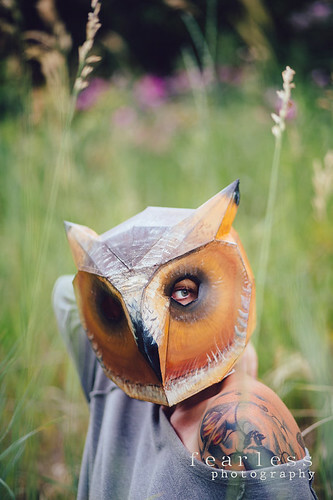 Steve is a maker of custom surfboards and furniture, but he is also a clever mask designer. All of his templates are emailed as instant downloads - just print onto regular paper, trace the plain pieces onto stiff card stock or lightweight cardboard, cut, and tape tabs in place. 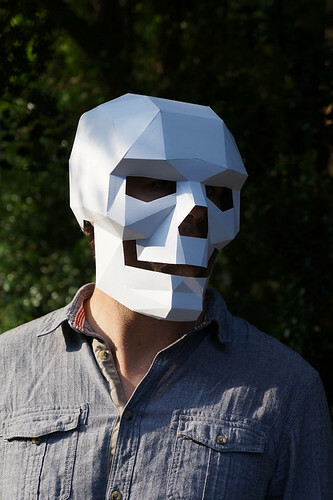 The result is a sturdy mask due to its polygon construction. You'll find birds, foxes, werewolves, lions, owls and more that can be painted/decorated however you like. 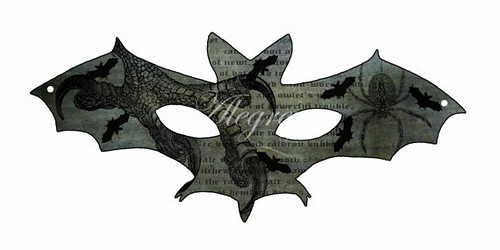 If you'd like to keep with the spooky theme, but are very short on time, check out Kate Crossley's new Etsy shop Alegreya where you'll find instant digital downloads for her original printable bat and skull. 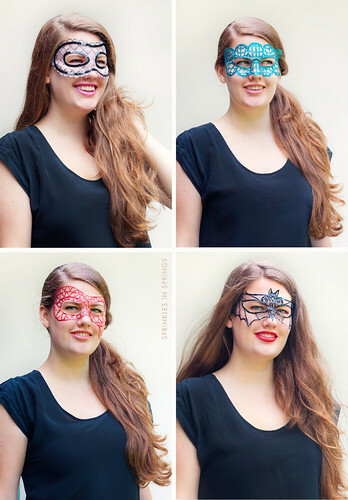 Kara Endres of the blog Sprinkles in Springs shows how to make tulle and fabric paint masks that look great and seem like they would be an enjoyable project. All you do is print out one of the five free templates Kara designed here or here, cover it with plastic wrap and then a layer of tulle. Trace the design with fabric paint. When dry, peel the tulle from the plastic and cut eye holds and around the outside edges. Adhere a couple of ties and you're ready to party. 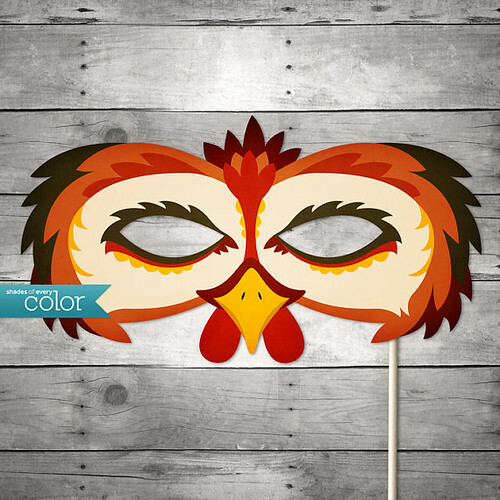 If you prefer masks on the whimsical side, take a peek at Jeanne Mouch's Etsy shop Shades of Every Color. 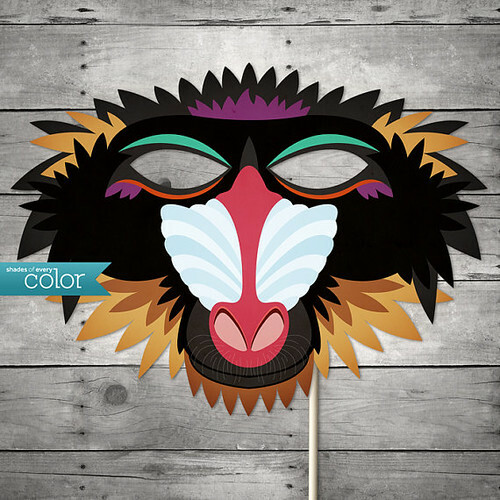 Jeanne is a print, web, and vector illustration design specialist by day and enjoys creating colorful animal masks like this baboon and rooster in her spare time. Just print and cut, then attach a stick or a couple of ties. You might remember Vicki Smith of Etsy shop Vicky Smith Art whose blog Art with Kids I featured previously. 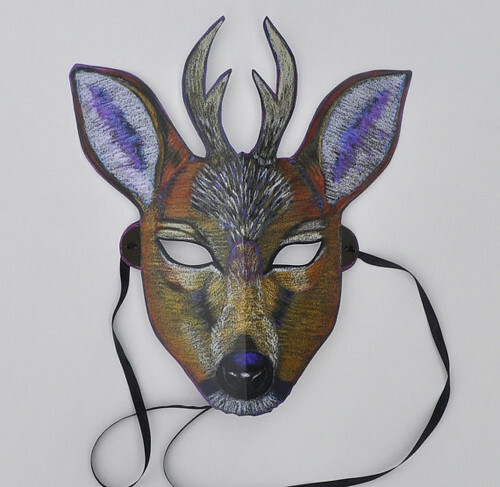 She has added new animal masks to the shop this year including a brown bear and deer. 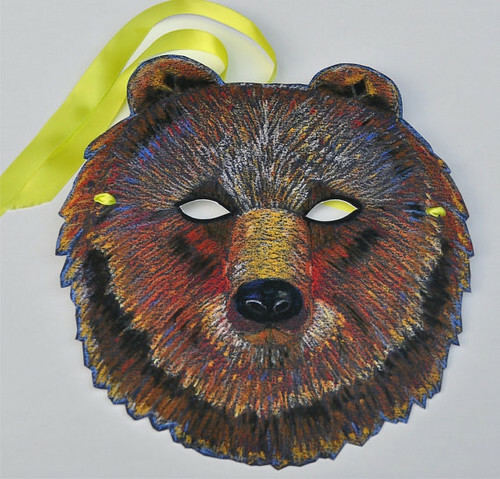 Vicki's masks are printed from her original pastel illustrations onto heavy card stock and arrive in the mail ready to wear. The only thing you'll need to do is tie the ribbon and go! Lastly, let yourself be inspired by Diana Beltran Herrera, maker of beautiful sculptured paper birds. 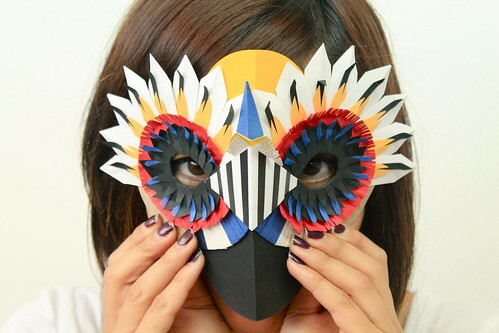 A couple of years ago she had fun creating layered masks from cut paper shapes... see more examples in her Flickr album. I just bought the skull mask. Thanks for the find! Skull mask is really easy to make and very impressive. Thanks!